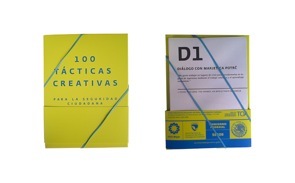 This work is a publication consisting of 100 examples and projects carried out by designers, architects and cultural workers from all over the world, which propose, through art and creativity, solutions to local social urgencies. Enclosed in it, there are maps, tables, and a leaflet with the goal of evaluating the projects in social contexts. To offer a tool for organisers, initiators, users, communities, organisations, as well as local and national governments to develop creative tactics and strategies for solving concrete urgencies. It brings new ideas of how to manage the most common social problems nowadays, giving concrete advice about the organisation of these kind of projects.